Good news on the digital inclusion front. 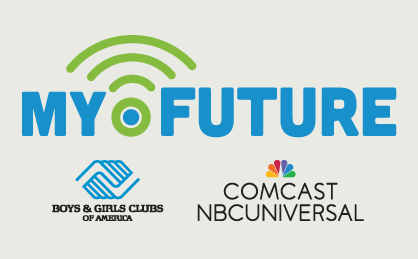 Comcast Foundation has granted $45,000 to the Boys & Girls Clubs of Greater Kansas City to expand the My.Future initiative. My.Future provides hands-on training to Club kids to equip them with digital skills needed to advance in school and get jobs in the tech-driven economy. The program offers more than 40 skill tracks including things like how to remain safe and productive online, use basic software, social networking, movie production, robotics programming, and game design. The grant to BGC-Kansas City is part of a $4.5 million to date Comcast investment in My.Future. The project spans 90 clubs. Over the past five years, Comcast and Comcast Foundation have contributed $240 million in cash and in-kind support to digital readiness programs nationwide, reaching nearly 3.2 million people digital literacy partners, including Boys & Girls Clubs of America. Check out a video featuring some of the local kids impacted by My.Future.